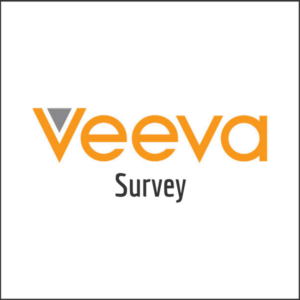 At the 2016 Drug Information Association (DIA) conference in Philadelphia a few weeks ago, Veeva released the third annual Veeva 2016 Paperless TMF Survey. The goal of this 13-question Survey (many of which included sub-questions with response matrices) was to further understand the impact of the electronic TMF (eTMF) adoption on clinical processes and the associated drivers, benefits, and expectations of such adoptions. The Survey findings represent the experiences and opinions of clinical professionals—217 TMF owners—across the globe. Sponsors have cut the amount of paper used for TMF documents by 13%: 41% in 2014 versus 28% today. The importance of this impact is undeniable, as 49% of sponsors surveyed say that integration of their eTMF application and clinical trial management system (CTMS) is essential in their effort to go paperless. Sponsors can more easily share their TMF documents. Electronic collaboration with partners has increased: 23% of sponsors are now using their eTMF application to share TMF documents with their CROs. Sponsors with an eTMF application now provide their inspectors and auditors with remote access: 80% of participants. The ease of sharing TMF documents has streamlined the clinical trial process. Consequently, clinical trial timelines have shortened. As a result, the sponsors and other entities involved in clinical operations have gained substantial savings. In addition to financial savings, TMF owners who have adopted advanced eTMF applications have realized benefits as to the quality of their findings. In fact, they have experienced improved audit and inspection readiness, as well as better visibility into their performance metrics. Most notably, through the identification of duplicate, missing, or incomplete documents, 98% of those who have implemented an eTMF application have experienced specific improvements in essential inspection areas. Not only does this improve the quality of their findings, but it also results in significant cost savings by shortening the time of the clinical trials. The Survey highlights the continued trend of sponsors adopting advanced eTMF applications. Based on my thirty plus years’ experience in the pharmaceutical industry, I agree with the results of this survey. Over the years I have witnessed firsthand the benefits associated with adoption of an eTMF. The results highlighted in the article benefit not only the clinical trial process, but also have direct impacts on the day to day operations of the trials. Therefore, in addition to significant cost savings, eTMF adoption can significantly improve the productivity and accuracy of work conducted by all members of the clinical trial team. LMK Clinical Research Consulting, LLC (LMK) is known in the life sciences industry as a trusted leader for our dedication, quality solutions and expert services in the Trial Master File (TMF). As a Functional Service Provider exclusively focused on TMF management, we offer comprehensive TMF services specializing in the strategic development, project management and quality control of documents and content that support clinical development. From study start through completion, our TMF experts deliver quality document management and TMF solutions to ensure your TMF is inspection-ready at all times. LMK was established out of a growing industry need to improve TMF quality. With the increasing demands from regulators and issues with compliance, we recognized the importance of taking a more proactive approach to TMF management, rather than reactive. At LMK, we believe the TMF is the foundation of every study, and a strong foundation is key to the overall health of your trial. That is why LMK makes the TMF a top priority. Whether you currently use a paper or an electronic TMF, successful TMF management depends on the compliance of people following standardized processes. Although technology helps, technology alone it is not enough. We offer our clients a combination of TMF expertise and extensive knowledge of the clinical drug development process. Our TMF experts will assess your study requirements and processes and create an implementation plan customized to best meet your specific needs. Proud to be a certified woman-owned company by WBENC.